Albert Gonzales has plead guilty to the theft of more than 170 million credit and debit card numbers from major U.S. retailers, in the last of three cases brought against him by federal prosecutors. Gonzales now faces up to 25 years in prison under the terms of previous plea agreements, and is scheduled to be sentences in March. A 28-year-old college drop-out—and one-time federal informant—Gonzales was the orchestrator of the largest identity theft in U.S. history, targeting major U.S. retailers, often via credit card processing firms. The latest case related to Gonzales gaining illegal access to credit and debit card processing handled by Heartland Payment Systems, Inc., of New Jersey, as well as convenience store chain 7-Eleven, Maine-based supermarket chain Hannaford Brothers, and two other unnamed companies. Previous cases have involved Gonzales stealing payment information from TJX Cos., OfficeMax, BJ’s Wholesale Club, Barnes & Noble, and Sports Authority. Mega-retailer Target has also admitted to having a “limited” amount of customer payment data stolen by Gonzales. Gonzales’s defense characterized the man as an “Internet addict” with poor social skills but an “idiot-savant-like genius” for information technology. 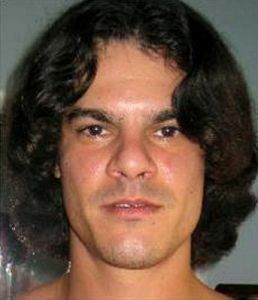 In 2003, Gonzales was arrested for computer hacking, but was never charged because he agreed to help the Secret Service find other hackers. While continuing to assist the federal government, Gonzales also worked on his illegal activities targeting retailers. Gonzales accumulated some $2.8 million, and lived lavishly, staying in upscale hotels, throwing large parties, and purchasing a Miami condominium and an BMW automobile. Under the plea agreement, Gonzales must forfeit all the fruits of his criminal enterprise. Gonzales’s accomplices in the identity theft scheme remain at large.